Description: The Parish Finance Council meets the third Tuesday of each month. Description: The Parish Pastoral Council meets the third Wednesday of each month at 6:30 pm in Grellinger Hall. Pastoral Council meetings are open to all parishioners. Description: The St. Vincent de Paul Meal Program will be serving the evening meal on Friday, January 18th. Parishioners who have offered to donate a food item will have already been called the week of January 7th-11th. Food donations can be dropped off at Queen of Apostles Church on Thursday, January 17th from 6:30 pm - 7:30 pm or Friday, January 18th from 8:00 am - 3:00 pm. Contact Cindy Klopp at (414) 531-1817 with any questions. If you are still interested in participating in this parish ministry, sign-up sheets are always available in the church Narthex. Fill out the sheet for the remaining months of March and May and you will be added to the call list. Thank you for your support of this parish ministry. Description: Join us in Grellinger Hall after the 5:00 pm Mass for cocoa and, if you would like to, making no-sew blankets. Description: Join us after the 8:00 & 10:30 am Masses in Grellinger Hall for donuts, coffee, juice, and milk. We'll also have cocoa and will be making no-sew blankets. Description: Being a disciple of Jesus involves developing certain habits. Join us for an introduction to Habit #3 = Mass. We will meet on 6 Sundays, January 6 to February 10, from 9 to 10:30 am. The sessions will explore the simplest foundations of the Mass. They are for people who want to get better at praising God and loving one another through the Mass. A light breakfast is included! Check out the trailer at 4pmmedia.com/the-mass-1. Facilitated by Paul DeBruyne and Liz Kuhn. Register for free by contacting Liz at lizk@queenofapostles.net or (262) 691-1535 x108. The Parish Finance Council meets the third Tuesday of each month. The Parish Pastoral Council meets the third Wednesday of each month at 6:30 pm in Grellinger Hall. Pastoral Council meetings are open to all parishioners. The St. Vincent de Paul Meal Program will be serving the evening meal on Friday, January 18th. Parishioners who have offered to donate a food item will have already been called the week of January 7th-11th. Food donations can be dropped off at Queen of Apostles Church on Thursday, January 17th from 6:30 pm - 7:30 pm or Friday, January 18th from 8:00 am - 3:00 pm. Contact Cindy Klopp at (414) 531-1817 with any questions. Join us in Grellinger Hall after the 5:00 pm Mass for cocoa and, if you would like to, making no-sew blankets. Join us after the 8:00 & 10:30 am Masses in Grellinger Hall for donuts, coffee, juice, and milk. We'll also have cocoa and will be making no-sew blankets. Being a disciple of Jesus involves developing certain habits. Join us for an introduction to Habit #3 = Mass. We will meet on 6 Sundays, January 6 to February 10, from 9 to 10:30 am. The sessions will explore the simplest foundations of the Mass. They are for people who want to get better at praising God and loving one another through the Mass. A light breakfast is included! Check out the trailer at 4pmmedia.com/the-mass-1. Facilitated by Paul DeBruyne and Liz Kuhn. 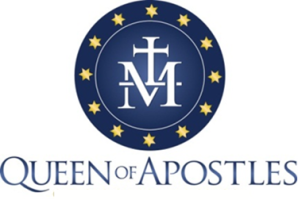 Register for free by contacting Liz at lizk@queenofapostles.net or (262) 691-1535 x108.